Leaders who want to have a greater impact on their organization; executives new to a strategic role. Valued clients are placed in unfamiliar territory or they want to capitalize on the possibilities that exist for them. Benefit from 25 years of leadership and Human Resources expertise. "...Tim’s guidance and insights helped me become more self aware, confident, and courageous..."
"...We worked together to find opportunities to leverage my talents, make greater contributions to the success of others, and to become more aware of behaviors that take away from my primary goals..."
"...Tim helped me better understand myself, establish objectives and chart a course..."
"...Tim helped me develop in some key areas that had been holding me back in my career... 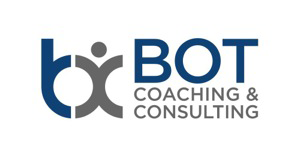 I found my coaching with Tim to be extremely valuable and I would highly recommend him." "...Tim took the time to get to know me and to understand what was important to me..."
"...Tim's insight was one of the most valuable benefits of our meetings and it positively impacted my confidence (and results!) during my job search. I had a very positive coaching experience with Tim and highly recommend him!"